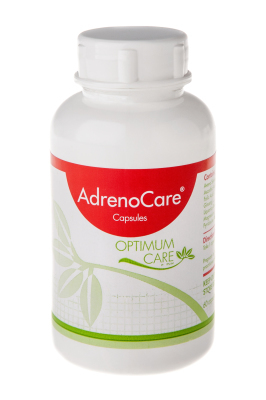 AdrenoCare is specifically formulated to help support the adrenal glands. Treating the symptoms of stress, anxiety, fatigue, dizziness, hypotension, immune dysfunction and muscular pain and cramps associated with stress and weakened adrenal function. AdrenoCare supports our vital fight and flight survival glands, the adrenals. Stress is one of the most common triggers of the health complaints that we heal at Optimum Care. AdrenoCare is designed to improve daily physical and mental performance, support the bodies stress coping mechanisms and help to repair symptoms of fatigue and stress that occur typically with adrenal fatigue and burnouts. 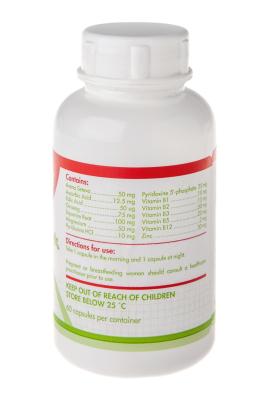 This product directly targets the adrenal glands to facilitate optimal adrenal hormone production. Vitamin B6 (Pyridoxine 5’ Phosphate), magnesium and zinc supply the body with the vital vitamins and minerals needed for adrenal hormone production. Ginseng, liquorice root and avena sativa work in the body to have a calming effect and support adrenal gland function.